Large flowering vine; blooms up to 5"
Kilian Donahue Clematis is in the YELLOW pruning category. It blooms best on old wood, but it can also bloom on new wood. Use caution when pruning to retain healthy stems from last season for best flowering. See our Stoplight Pruning Guide for more information. 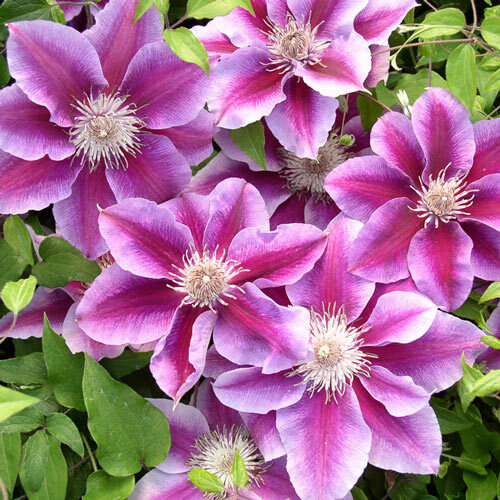 Unique CharactersticsMonrovia: One of the most dramatic Clematis ever, with flowers ranging at any given time from shades of deep ruby-red, brilliant fuchsia, to lavender with orchid-pink highlights. Outstanding rebloomer with full branching habit. 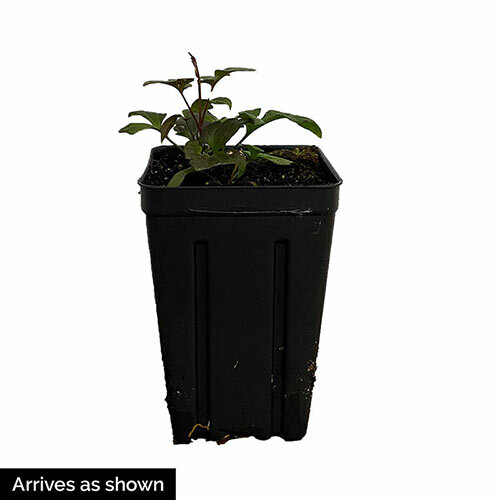 Makes a fine groundcover or climber for arbors, fences or tall shrubs. Deciduous.